The M.F.A. Program in Creative Writing in the College of Arts and Sciences has announced its Spring 2015 Raymond Carver Reading Series. Named for the great short-story writer and poet who taught at Syracuse in the 1980s, the Carver Series brings 12-14 prominent writers to campus each year to read and interact with students. Each event takes place in Gifford Auditorium in Huntington Beard Crouse Hall and involves a Q&A session at 3:45 p.m., followed by a reading at 5:30 p.m. The series is free and open to the public. For more information, call the creative writing program at 315-443-2174. The program is housed in the college’s Department of English. Jonathan Dee is Syracuse’s Donald MacNaughton Distinguished Author, as well as a visiting writer in the creative writing program. Dee is the author of six novels, including “A Thousand Pardons” (Random House, 2013) and “The Privileges” (Random House, 2010), which was a finalist for the Pulitzer Prize and the winner of both the Prix Fitzgerald and St. Francis College Literary Prize. Dee is a staff writer for The New York Times Magazine, a frequent contributor to Harper’s and a former senior editor of the Paris Review. He teaches writing at Columbia University and the New School. Jenny Offill is the inaugural Leonard and Elise Elman Visiting Writer. She is the author of several novels, including “Dept. of Speculation” (Knopf, 2014), which The New York Times Book Review named one of the year’s 10 best books. Offill also has written children’s books and has co-edited two essay anthologies. She teaches writing at Columbia, Brooklyn College and Queen’s University. Bridget Lowe G’09 is the author of the critically acclaimed poetry collection “At the Autopsy of Vaslav Nijinsky” (Carnegie Mellon University Press, 2013). Her work has appeared in a variety of journals and anthologies, including The American Poetry Review, The New Republic, and The Best American Poetry series. Her awards include the “Discovery”/Boston Review poetry prize. E.C. Osondu G’07 is Syracuse’s James Breuer Distinguished Author. Osondu also is an associate professor of English at Providence College in Rhode Island, where he teaches composition, literature and fiction writing. The Nigerian-born writer is best known for his short-stories, including “Waiting,” which won the Caine Prize for African Writing. His books include the novel “This House Is Not for Sale” (2015) and the short-story collection “Voice of America” (2010), both published by Harper. Ron Padgett is Syracuse’s Richard Elman Visiting Writing. 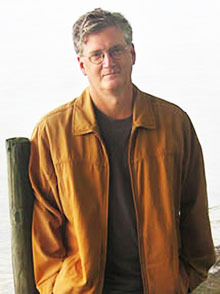 Padgett is the author of “Collected Poems” (Coffee House Press, 2013), winner of the Los Angeles Times Book Prize; “Straight Line: Writing on Poetry and Poets” (The University of Michigan Press, 2000); and “Ted: A Personal Memoir of Ted Berrigan” (The Figures, 1993). He has been a finalist for the Pulitzer Prize in poetry and, last year, won the Poetry Society of America’s William Carlos Williams Prize. Ishion Hutchinson is the Meringoff Sesquicentennial Assistant Professor of English at Cornell University, where he teaches American and British poetry, creative writing and the long poem and the epic. The Jamaican-born poet is also a contributing editor to Tongue: A Journal of Writing and Art. His poetry has appeared in many publications, including The Huffington Post, Granta magazine, and The Los Angeles Review. His poetry collection “Far District: Poems” (Peepal Tree Press, 2010), won the PEN/Joyce Osterweil Award.